Electric Phantom is an evil corporate audio/visual production company based out of Gibsonton, Florida - operating under this current incarnation since 2012. Directed by producer, promoter, and video editor Melody McGinn; Electric Phantom bodyguard and collections agent Charles; and owned and created by the mysterious Ominus. They own, and have under special contract the 20th Century Ghost and storyteller, Petunia-Liebling MacPumpkin. They are responsible for summoning her back to our dimension and time. They have also produced two albums and several video stories for the Michigan based group Chimney Crow, and aditionally have worked to create video stories for several outside artists such as Bill Mumy (Barnes & Barnes), Martin Newell/Cleaners From Venus, and outsider musician David Liebe Hart. Petunia-Liebling MacPumpkin is a 20th Century Ghost and a storyteller of strange tales from the past, future and present - a coloring book from another world that broke loose into ours. 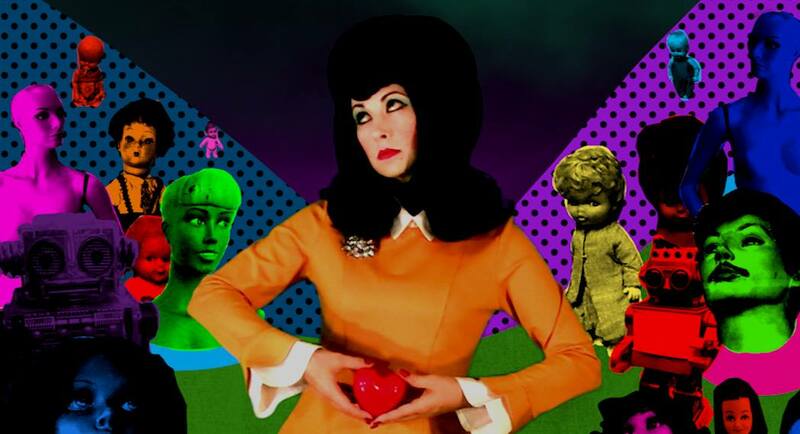 Her music is often described as art pop, outsider music, lounge noir and psychedelic pop. Her debut album, Fish Drive Edsels (2012), was entirely written, and partially recorded in the early 1990s. It wasn't until Ominus and the powers that be at Electric Phantom summoned her to our world that it became a tangible reality in both audio and visual form. Her second and latest album, I Left My Heart in Uncanny Valley (2018), heralded a new series of intermissions from reality in the form of visuals, video and animation. The journey through Uncanny Valley continues, as she works on future projects in betweeen epic video story adventures. Follow Petunia, and her puppet pals in their many adventures!